Ever wonder how a girl becomes a stylist? 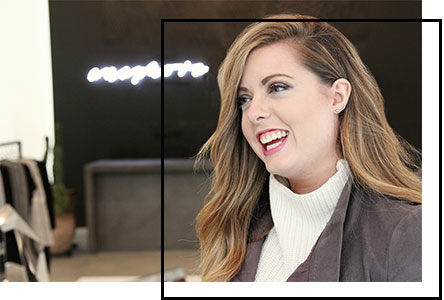 Caitlin continued working in the apparel world with Nike as a field merchandiser, an assistant buyer, a manager in training and interned for BCBG in Los Angeles. She landed her first job out of college with BCBG in Oklahoma City then moved to Kansas City after she married her college sweetheart Kevin just one year later. Once arriving in Kansas City she landed her dream job as the Merchandising Manager at J.Crew. She truly appreciated managing her associates, planning out roll outs, and especially helping customers find just right pieces to complete their wardrobe. She launched her company, C4Styling in 2014 and throughly enjoys filling her days with new client meetings, closet clean outs, personal shopping missions, and just creating the best life. Well this one started at an early age. When Caitlin was just 5 or 6 her grandmother would pick out perfectly curated outfits for her to wear. But, would she want to wear them, no way. From the very beginning she knew exactly what she wanted to wear and will show you how to do it too. She had a subscription to Vogue in middle school and would lug around the September issue with Gwyneth Paltrow on the cover everywhere she went. She landed her first fashion job at a gorgeous women’s boutique in Oklahoma City, Route 66. As she learned the ropes and was trained to be able to fit any woman’s body type and budget. This is where her love of fashion even bloomed. In college she studied Apparel Merchandising at Oklahoma State where she held tons of leadership positions in her sorority Phi Mu and was the President of the Merchandising Apparel and Design Association. Now let Caitlin create the perfect wardrobe for your life.